I am on the hunt for one, so might join the club soon. BTW Have any of you done any engine mods? A few guys here have tuned their engines. Very few actual engine mods though. I've seen some used 335d vehicles at a place called "Auto City" in Toronto. P.S. Welcome to the boards. Last edited by GreekboyD; 06-17-2012 at 05:51 PM. Actually I am trying to workout a deal for that one. Sweet! A know quite a few people who have bought from there with no problems. I'm going there to check it out actually. My uncle is looking to buy an SUV so I'm tagging along. I'm not looking to buy but I have three weeks off work and bored! Let me know what you think. The car is perfect expect it's missing the paddle shifters. He told me it's a 2010 with 40,000 kms on it and selling for $43,000. It does have the 18" rims on it from what I saw. Do you really care that it's missing the paddle shifters? Is he firm on his price or do you think he's flexible? Are you looking to trade in your TDI too? He just dropped the price last week by $3,000. So he is firm, it's a US car. I really want the paddle shifters but I plan to install them after I buy the car. Yes I am trading in the TDi. I am going later today to workout the deal. So hopefully everything goes smooth. Sweet! What year is your TDI and how many kms? I had one before the D and it was one I had bought brand new. 2006 fully loaded minus the bluetooth package. It was stick with 89,000 kms on it when I sold it. I should find out today working out some details. Awesome dude. Good luck and keep us posted. I got one should be picking it up this week. Its a 2011 with M package and Nav. Space Grey on Black with glacier aluminum trim. Not sure which % tint to get 20% all around or 35%. Congrats and welcome to the club! 35% is "legal" front window tints in Ontario while 20% is allowed in the back. I went with 35% all around because I don't need "heat" from the cops. P.S. How many clicks and where did you buy it? Can you post a pic of your car? I bought it from BMW Autohaus so it has the CPO warranty plus the OG warranty. It has 27k on it so I have warranty on it for a the 4 yrs basically. I pick it up on Thursday night so I'll try to get some pics up on Friday. I'm happy to finally be a 335d owner. I went with 35% all around thanks for the picture. Congrats man. I met "Rock" from there when I went in a few times. It's great that you have 4 years of warranty from a peace of mind stance. 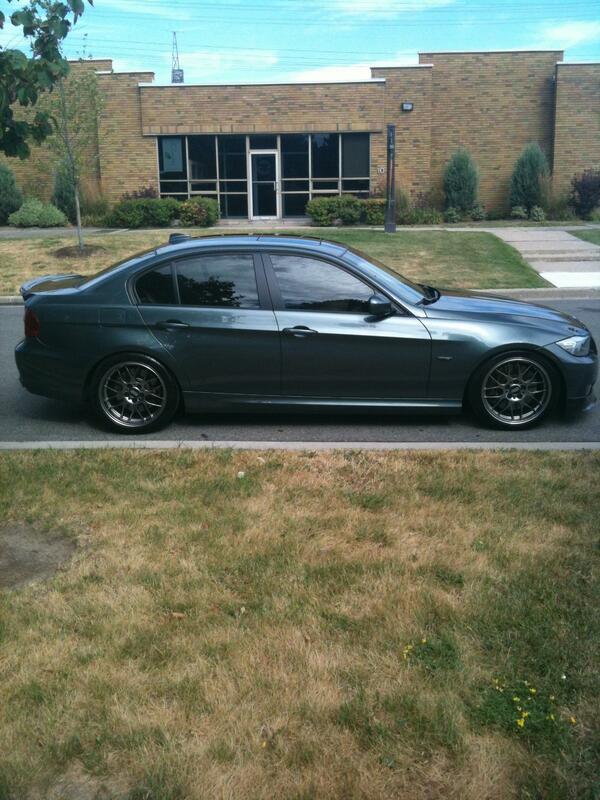 We should do a GTA 335d meet. Who's down? Maybe we should make a new thread.